Orange, Neon Yellow, Orange, Purple, Royal, Scarlet. • Numbered 1-12 front and back •Pleasespecify1colorperdozen •ColorOptions:Blue,Gold,Green,Scarlet. 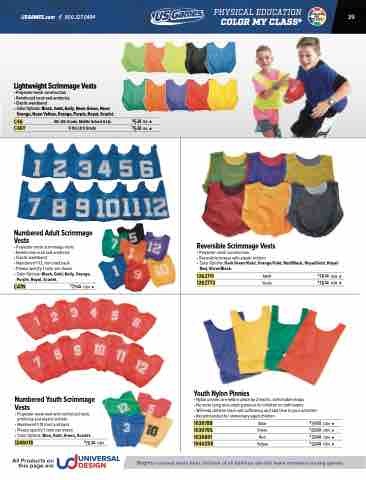 Brightly colored vests help children of all abilities identify team members during games.